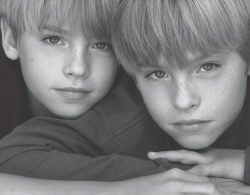 Dylan & Cole. . Wallpaper and background images in the 斯普劳斯兄弟 club tagged: cole dylan. those picture are so cute!! !